in South Florida specifically for South Florida weather. Have the sun when you want it, shade or rain protection when you need it. 20 degrees cooler than without an awning and will protect you from the sun, rain and harmful UV rays. 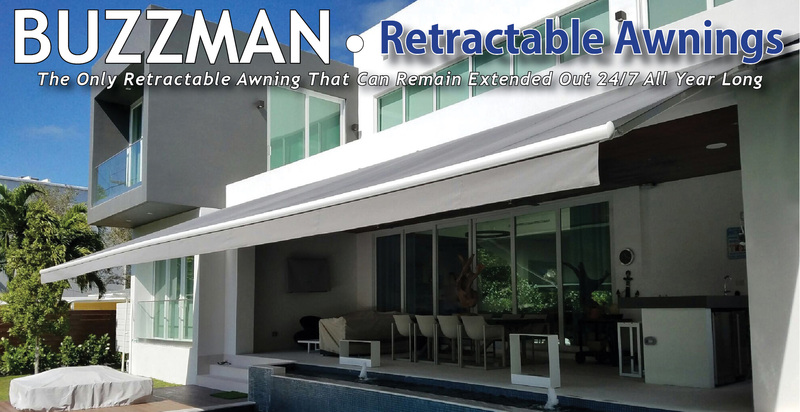 Buzzman Retractable Awnings also protect homes from heat and discoloration of carpet and furniture. Have an existing retractable awning that needs new fabric? We can do that too!